Since we’re both in the business of qualitative data, Wootric reached out to Morgan Brown to interview him for his expertise in the field. Morgan is 15-year startup marketing vet, who is passionate about helping great ideas and companies grow. He’s currently the COO of Inman, a real estate media company that covers the residential real estate space in the U.S. He’s also married to an awesome woman and has two kids that remind him of how lucky he is every day. He loves to study what makes online companies grow, what makes some brands successful and others not, consumer behavior and all things business. He reads a ton, with his favorite reads being business books and biographies of famous leaders. His latest read, Leadership BS, is a great book on how most of the leadership advice is misguided and harmful to leaders and their teams. You can follow Morgan on Twitter at @morganb. How have you used qualitative research in your career as a growth marketer? Qualitative research for me really lies at the heart of what it means to be a marketer. Talking to customers, listening to people, peeling back the onion with the right questions to really assess their needs, wants and motivations is incredibly powerful. Running growth at Qualaroo certainly meant a lot of time studying and using qualitative research. It really helped me see first hand how powerful it can be when deployed properly. I’ve used it in my career in all sorts of ways: conversion rate optimization, product development, marketing campaigns, website and email copy, and software package and pricing. It’s helped me learn what matters most to people, what concerns people have, and the words they use when they talk about a product and solution. What are the differences between qualitative and quantitative research? 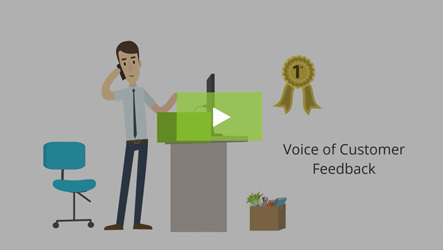 Analytics tells you what’s happening, but voice of customer research tells you why. It’s that contextual layer that helps put data into perspective. You can stare at numbers and guess at what’s happening, or you can ask your customers and get feedback about what’s really going on. What is the importance of qualitative research for online businesses? The beauty of qualitative feedback is that it helps you define the problem space better when you’re looking to improve the performance of your business. For example, you can see a really high cart abandonment rate and guess at all the potential issues preventing someone from purchasing or subscribing, or you can talk to some people and narrow your set of potential hypotheses and experiments. It’s a great way to shorten your experimentation process and find higher quality tests that are more likely to be wins. What methodologies can be used to conduct qualitative research? How can a business make sense of all the feedback they get ? We think some people inherently distrust qualitative, don’t know what to do when they get A LOT of it. There are lots of ways you can collect qualitative feedback, from interviewing people in person or on the phone, surveying users via an onsite survey, using Net Promoter Surveys via companies, to marketing panels where you survey people who are in your target market. The key to effective user surveys is to ask the right questions to the right people, so that you’re eliciting valuable feedback. 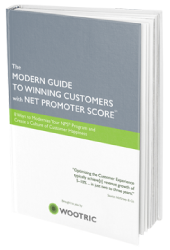 If you use a Net Promoter Score survey, you’ll get a numeric representation of your overall customer happiness or satisfaction with your service. 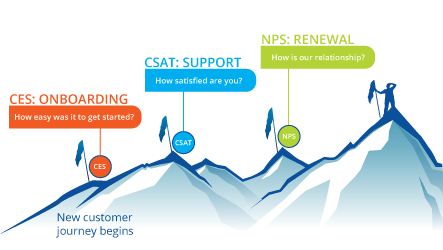 You can benchmark yourself over time and also to other companies who publish their NPS online. It gives you some context to the results you’re getting and helps you gain some understanding of the feedback you’re getting. You don’t necessarily need a ton of feedback from qualitative research to find answers that can help your business. Jakob Nielsen, one of the foremost user experience experts, wrote an article 15 years ago that showed that getting feedback from just five users uncovered 85% of usability problems. So you don’t need a ton of feedback to uncover important learning that can improve your growth, conversion rates, etc. What are some of the common mistakes people make (or fears? resistance?) when conducting qualitative research and how can they be avoided? The two biggest mistakes are: not doing qualitative research in the first place and then not putting it to use. People are afraid that they’re going to ask the wrong questions, get a non-representative sample, hurt their conversion rate and more. The third big mistake is asking the wrong people for feedback. These are all easily avoided. The first is to just do it. Qualitative feedback doesn’t have to be hard. 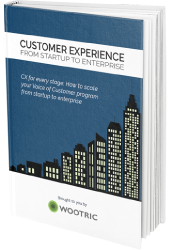 Just start by talking to customers, on the phone, via email, onsite, in surveys, etc. Getting over the fear of doing it is the hard part. Then, once you have data flowing in, it’s important to share it with your team. Finally, asking the wrong people is a big issue. You want to ask people who are potential customers, not just random people who never have any intent or landed on your site by accident. Just like you wouldn’t do customer development interviews with someone outside of your target audience, don’t waste your time getting feedback from people who will never buy. To do this, filter out unqualified traffic, users, etc. For example, at Inman we don’t run onsite surveys to older content which gets great SEO traffic but is written for a different audience. Those readers are not the people we’re trying to build our business with. How can qualitative research be used to find language-market fit, problem-solution fit, and product-market fit? This is where qualitative research really shines. For language-market fit it gives you insight into the exact words and positioning they use to describe your product. You can use their words to help with copy and positioning that is relatable and intuitive to your target audience. For problem-solution and product-market fit you can ask questions like ‘What product would you use if you didn’t use ours?’ or ‘How disappointed would you be if our product was no longer available?’ or ‘What’s the one thing that would make this product indispensable?’ and more to gauge how important your product is to your users and how to make it a must-have. One of the best ways to improve retention is to ask people who leave why they left and then work backwards to solve those issues and keep people engaged and happy with your product. How can it be used to help scale a startup once product-market fit has been established? Qualitative feedback is essential to conversion rate optimization. If you have PMF, then you want to maximize your growth through improved conversion rates, messaging, acquisition, retention and more. Qualitative research can give you the insights you need to improve all of those things. The answers you get from your new customers will point you directly to the moments of confusion and hesitation that almost derailed them. If you go back to those spots in the funnel, you’ll likely find many more people who couldn’t get over that hurdle. That intelligence gives you great insight on where to start experimenting to improve your overall conversion rate. Start gathering qualitative feedback today. 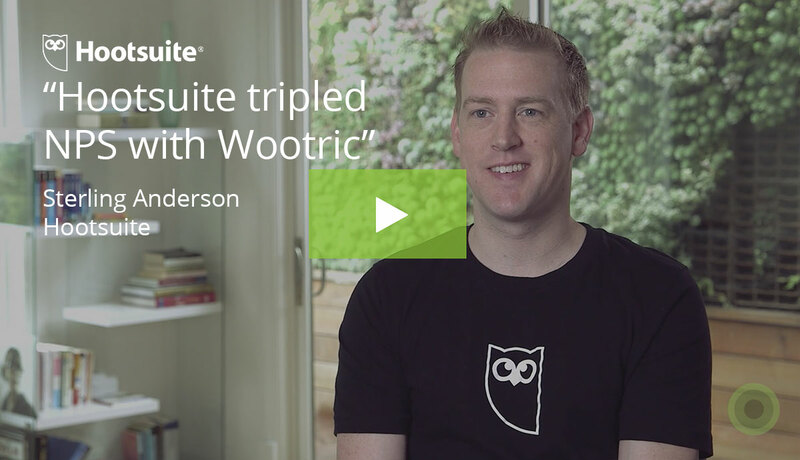 Signup for free in-app Net Promoter Score with Wootric.